Is your company's sensitive data secure? 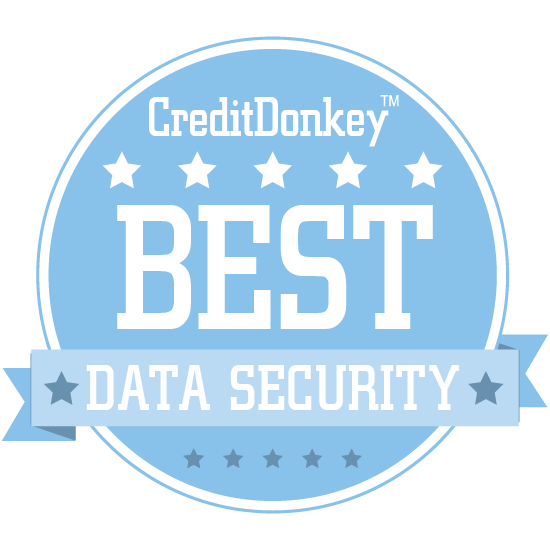 Winners of CreditDonkey Best in Data Security award can help keep your company safe against threats. A data breach could spell major disaster for your business. Security compromises and customer information leaks are a nightmare. 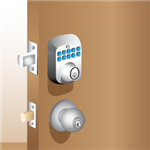 Are you taking the right precautions with your business? Securing your data is a must these days. 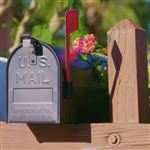 Your employees and customers have entrusted your company with their personal information. But where to begin? Which security company can you trust to do the job? At CreditDonkey, we help business owners make smart choices. We've narrowed down the best data security for every kind of business. These companies offer innovative solutions and tools to keep your company's information safe and out of wrong hands. Read on for our list of the very best in data security. Threatmetrix offers multiple solutions for keeping your digital identity safe from cybercriminals, including fraud prevention, authentication, and threat detection services. President and CEO Reed Taussig has over 3 decades of executive management experience in the technology sector, including in CEO positions with Callidus Software, Vormetric, Inc., and Inquiry.com. Why Threatmetrix is a Top Data Security Innovator: Their technology can authenticate users by building a complex digital identity for each one, then identifying suspicious activity before it affects your business or your data. Their solutions are applicable to a wide range of businesses, including eCommerce, banking, and payments and lending. Gem is a blockchain company for healthcare and supply chain that aims to link together scattered data belonging to a single person or asset. Founder and CEO Micah Winkelspecht has been active in the Bitcoin world since 2012 and has over a decade of experience developing technology for companies like AT&T Interactive and Guide Financial. Why Gem is a Top Data Security Innovator: Every time anyone interacts with a new business, they create a new digital persona; Gem links these personas together in order to reduce time-wasting reconciliation and risk to create better outcomes. Their Supply Chain solution, for example, provides a full view of the lifecycle of assets, reducing operational costs, increasing efficiency, and improving both accuracy and transparency. Agari enables companies to protect both their enterprise and their customers and clients from advanced phishing threats by exposing the true sender's identity. Why Agari is a Top Data Security Innovator: They offer two solutions: one that protects your enterprise and employees from email-based cyberattacks, and one that shields customers from phishing attempts using your brand. They also offer their Email Trust Platform, a one-of-a-kind solution that uses global email telemetry data and predictive trust-based analytics to track down the senders of these phishing emails. IBM Resilient is a global leader in incident response, with a team that brings over 100 years of combined security experience to bear on a powerful platform that's always evolving. CEO and co-founder John Bruce is a longtime executive, having been chairman and CEO of Quickcomm, president and CEO of Authentica, and more. Why IBM Resilient is a Top Data Security Innovator: Their platform quickly and easily integrates with your organization's existing security and IT, making any alerts instantly actionable and providing intelligence and context for every threat. As attacks become more complex, IBM Resilient is adapting its platform; their new Dynamic Playbooks feature is agile and intelligent enough to adapt in real-time to advanced threats. Cybereason is a threat-hunting solution that automates the hunt to track down threats sooner and decrease investigation and response time. CEO and co-founder Lior Div is an IT security expert who previously served in the Israeli Intelligence Corps as the commander of a cybersecurity team. Why Cybereason is a Top Data Security Innovator: When their sensors detect an attack, their technology immediately starts investigating and their Hunting Engine learns, becoming stronger and more effective as it gather more intelligence. Cybereason's Response Interface then exposes the entire attack, end-to-end, so you can see how your adversary gained access. 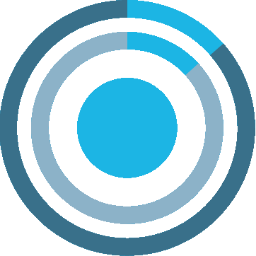 Distil Networks offers bot detection solutions for web and APIs that can ward off whole classes of threats. Why Distil Networks is a Top Data Security Innovator: Most developers consider humans interacting with apps rather than bots; that's where Distil API Security comes in, acting as a shield against API hijacking, scraping, and more. They even offer a free plug-in for Google Analytics that can remove all bad, bot-created data from your reports. Shape Security is built to prevent automated attacks and fraud on both web and mobile apps, and has stopped over $1B in fraud to date for companies ranging from retailers to health care providers. Prior to helping launch Shape Security, CEO and co-founder Derek Smith was a Senior Advisor for Cyber Policy at the Pentagon, while co-founder and VP of Research and Development Justin Call was the first VP of engineering at Oakley Networks and COO. Co-founder Sumit Agarwal served as Deputy Assistant Secretary of Defense at the Pentagon and also advised on cyber policy. Why Shape Security is a Top Data Security Innovator: Major companies are facing more automated attacks than ever, and Shape Security is built to adapt in real-time to protect applications from even the most advanced automated threats. They offer a range of products, including security-as-a-service, a mobile SDK, and a cloud-based management platform. RiskIQ is a digital threat management platform that gives security professionals the tools they need to defend against external threats like phishing, malware, ransomware, and more. Founder and CEO Elias Manousos has been working in the IT security sector for over 15 years and is co-chair of the Online Trust Alliance Anti-Malvertising Working Group. Why RiskIQ is a Top Data Security Innovator: Their platform gives users a comprehensive view of their company's digital assets and how an attacker might see them, monitors that data, and helps security professionals proactively defend their business against attackers. This helps enterprises reduce operational risk as well as risk to their brand's reputation, and RiskIQ's automated intelligence increases productivity. Trustlook uses cutting-edge artificial intelligence to provide sophisticated security to every platform out there, including PC, mobile, and IoT devices. Why Trustlook is a Top Data Security Innovator: Their AI can be easily integrated into a wide array of software security products like mobile apps and antivirus and firewall solutions. All of their AI-based solutions are highly customizable, integrate easily, and offer excellent performance, making Trustlook a top choice for technology companies. Prevoty offers an Autonomous Application Protection solution in the Runtime Application Self Protection category, that provides organizations with application and data security, protection and visibility while apps are in production. CEO Julien Bellanger was also the founder of the mobile user privacy company Personagraph and Director of Corporate Development at Intertrust. Why Prevoty is a Top Data Security Innovator: Their autonomous plug-ins inspect app activity at runtime and actively block attacks in real time while providing visibility into how attacks are executed. If Prevoty finds a malicious payload, it instantly blocks it and issues alerts so your security team can protect your data. The Prevoty autonomous plugins attach to the application at any point in the development or deployment process and travel with the app wherever it goes. PrivateCore's vCage server validation solution enables both enterprises and cloud service providers to verify the integrity of remote servers outside of their physical control, ensuring that they can execute applications on them. CEO and co-founder Oded Horovitz has over 20 years of experience in the tech industry in fields such as security and virtualization, while co-founder and CTO Steve Weis was previously a senior engineer at Google and a technical director at AppDirect. Why PrivateCore is a Top Data Security Innovator: Remote servers are often touched by a variety of people, including administrators, service providers, and more, opening them up to attack; vCore works to ensure that your remote servers are safe. By securing servers on cloud infrastructure, vCage empowers enterprises to use cloud computing with confidence. CipherCloud offers cloud data protection and governance for businesses, empowering businesses to use the cloud with confidence. Founder, Chairman, and CEO Pravin Kothari also founded the security risk management company Alegiance, and holds over a dozen patents in security technologies. Why ciphercloud is a Top Data Security Innovator: Their technology offers clear insight into cloud activity, letting you maintain visibility of your data and take action to enforce your policies when necessary. They're helping companies and organizations of all kinds maintain compliance and data privacy while giving them persistent control over their own data, no matter where it goes. Read: Does BYOK Mean 'Barely Your Own Keys'? 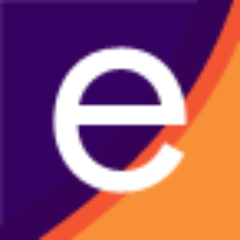 Cygilant, formerly EiQ Networks offers security as a service to enterprises at a fraction of the cost of the competition. President and CEO Vijay Basani is a serial entrepreneur who previously founded the application storage resource management provider AppIQ and the policy-driven content delivery solution provider WebManage Technologies. Why Cygilant is a Top Data Security Innovator: They offer security monitoring for companies without the manpower or time to do it themselves, along with vulnerability and patch management to help your organization fill holes in its security. Their solutions will work around the clock for your company to ensure that you're in compliance with whatever security mandates are required. 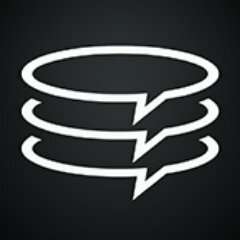 Blockstream is at the forefront of blockchain development, solving the issues that undermine trust in financial institutions. CEO Adam Back, PhD, has been working on e-cash protocols since 1995 and has served as a consultant to companies like Nokia and VMware. Why Blockstream is a Top Data Security Innovator: They offer both hardware and software solutions alongside expert professional services to companies that are deploying new blockchain-based networks, helping them avoid trust-eroding problems like fraud, counterfeiting, and more. 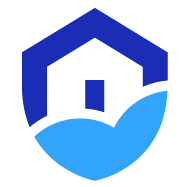 Their Sidechain technology enhances the security of existing blockchains by adding features such as smart contracts, confidential transactions, and more. Armor is a totally secure cloud company, offering managed security services for any cloud. Founder and CEO Chris Drake previously founded the interactive marketing and web development company TargetScope and created FireHost, now Armor, after recognizing the need for a secure cloud platform. Why Armor is a Top Data Security Innovator: Back in 2009, when they were known as FireHost, they built the first cloud designed with security in mind; they have the experience needed to protect not just your cloud infrastructure, but your entire environment. Their experts act as an extension of your own team, sharing responsibility and lessening your security risks and compliance burdens. NopSec offers vulnerability risk management and penetration testing, helping organizations find and prioritize their vulnerabilities so they can get to work on correcting them immediately. CEO Lisa Xu has advised a number of Fortune 500 companies in data security, privacy, and risk management, and previously led teams at Blue Cross Blue Shield, Ally Financial, and KPMG. Why NopSec is a Top Data Security Innovator: Their cloud-based solution uses machine learning and threat intelligence to turn vulnerability data into actionable information. Their Unified VRM technology then prioritizes vulnerabilities based on risk and context, helping your team tackle the biggest problems first. Oxford Biochronometrics offers a range of security solutions, including ad fraud analytics, anti-spam protection, device recognition, and their e-DNA User Authentication. CEO David Scheckel has 25 years of experience as a leader in the financial services industry and brings an extensive background of knowledge in business operations, programming and networks to Oxford Biochronometrics. Why Oxford Biochronometrics is a Top Data Security Innovator: e-DNA User Authentication uses real-time behavior to distinguish humans from bots and identify individual users, letting in only who and what you want. It never learns or stores user names or passwords, keeping your users' data private and secure, as it should be. ShieldSquare helps online businesses to differentiate human and non-human(bot) traffic on websites and mobile applications against web scraping, account takeover, skewed analytics and other forms of bot abuse. Pavan Kumar Thatha, CEO & Co-Founder, has 12 years of experience in business strategy, marketing, and product management. Earlier, he co-founded ArrayShield, an innovative Two Factor Authentication product. Why ShieldSquare is a Top Data Security Innovator: ShieldSquare blocks advanced bot attacks using unique device/browser fingerprinting, user behavior modeling, collective bot intelligence, and machine learning techniques. They process billions of page requests every month. They protect businesses in 70 countries for global online brands across several industry verticals, e.g. Retail, Media, BFSI, Travel and HealthCare. TrustLayers offers the first scalable data use protection platform, validating that sensitive data is being used appropriately so companies can use that data to innovate. Why TrustLayers is a Top Data Security Innovator: Using centralized data use policies, Trustlayers analyzes data usage and generates alerts on any suspicious behavior so you can maximize your data's value. With simple rule creation tools and automated data usage analysis, it can also save your organization time and money. Sookasa provides an encryption solution for popular cloud platforms Dropbox and Google Drive, so your team can work securely in the cloud on the platforms they love. Why Sookasa is a Top Data Security Innovator: Their application places a special folder in your Dropbox or Drive that encrypts every file placed in it, but leaves the files themselves in the cloud service so they're always there when you need them. You can then open encrypted files on any device you use using the Sookasa application. BigID is dedicated to helping businesses protect their most important asset: their customer data. Why BigID is a Top Data Security Innovator: A hackers' aim is often to steal customer data, which is greatly damaging to any company that's hacked; BigID can help your company find and eliminate any risk to this data. As privacy regulations continue to proliferate, BigID can also help your organization become compliant with new rules, drastically reducing legal exposure. Ground Labs offers data security software for PCI compliance, helping organizations find and secure the data that hackers target. Why Ground Labs is a Top Data Security Innovator: Their three solutions are designed to help organizations of any size secure their most sensitive data, be it card numbers, patient health information, or financial data. Their products work out of the box, without any need for customization, and are free from bloat so they use computer resources in the most efficient manner possible. Kullo is a user-friendly, secure communication solution with integrated end-to-end encryption so no one but you and your recipient can read your documents. 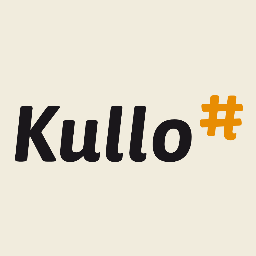 Why Kullo is a Top Data Security Innovator: Although all communications are secure, Kullo hides technical details so you can focus on the content of your conversations rather than on the platform. It works with all major desktop and mobile platforms, and will automatically synchronize messages across all your devices so you can communicate with your contacts no matter where you are. PeerNova uses blockchain-inspired technology to solve data integrity concerns for the financial industry. President and CEO Dr. Naveed Sherwani has over 25 years of experience as an entrepreneur, technical engineer, and manager, and has founded or co-founded nine technology companies in the past. Why PeerNova is a Top Data Security Innovator: Not only can their solution verify data and its lineage, but it can also help protect that data from modification, corruption, and distribution. Using this blockchain-inspired technology, which also combines aspects of cloud and big data, financial institutions can more easily address challenges like compliance, audits, and reconciliation. TeamData offers a new way for businesses to connect to and collaborate on data that's constantly needed by staff and third-parties. Co-founder and CEO Shane Green was VP of the Locations Division at Nokia/NAVTEQ, and led The Map Network as co-founder and CEO from 1999 to 2006, while co-founder and CTO Tarik Kurspahic worked with him as CTO of The Map Network and has been building data-oriented platforms and consumer products for 15 years. Why TeamData is a Top Data Security Innovator: Available as a web application, mobile app, and even an Office 365 add-in, TeamData allows users to connect to and share data, limit access to read-only, and more, all while you hold the keys. It's free for teams of up to 5, and the company offers plans for larger organizations with teams of up to 1,000. CybelAngel creates big data solutions to cybersecurity issues, processing huge volumes of data to accurately detect the risks that companies are facing. Why CybelAngel is a Top Data Security Innovator: Their automated solutions can detect a wide range of risks to your data, and their risk assessments give you the insights you need to mitigate those risks. Their services include monitoring the web for data leaks and counterfeit detection that find counterfeiting networks before they damage your brand. PerfectCloud provides cloud data security technology that includes access and password management and encryption. Why PerfectCloud is a Top Data Security Innovator: SmartSignin, their cloud single sign-on solution, provides a secure way to manage cloud data access across multiple devices, and also includes federated identity management, access control and audit, and more. Their cloud encryption and key management solution, SmartCryptor, allows users to easily encrypt and store data securely on desktop or in the cloud and share that data using any device. Eterniam safeguards its customers' important memories and digital possessions, protecting everything from family photos to legal documents from falling into the wrong hands. CEO and founder Parvez Anandam was previously a co-founder and the CTO of TappIn, and has over 13 years of experience in network security product development. Why Eterniam is a Top Data Security Innovator: They use SSL encryption to keep your digital possessions safe and secure, to be shared with only the people you designate. They simply keep your possessions like a safe deposit box; you retain all ownership and rights, and they never look at them. Tender Armor's CvvPlus offers fraud prevention solutions that guard against lost or stolen credit cards, unauthorized card use, and merchant breaches. Co-founder, Director, and CEO Madeline K. Aufseeser has over 30 years of experience in the financial services and payment industry, while co-founder, Chairman, and COO Robert J. Steinman is an engineer with over 3 decades worth of software development experience. Why Tender Armor is a Top Data Security Innovator: Their simple, real-time, dual-factor fraud prevention stops fraud before it happens: just use your CvvPlus-registered card when making an online purchase and enter your daily CvvPlus code instead of the security code on your card. Once you sign up and register your cards, all you have to do is text their service, login to their website, or sign up for a daily notification to receive your code. Sher.ly is a file manager for teams that allows you to create your own private cloud that uses storage on devices you trust. 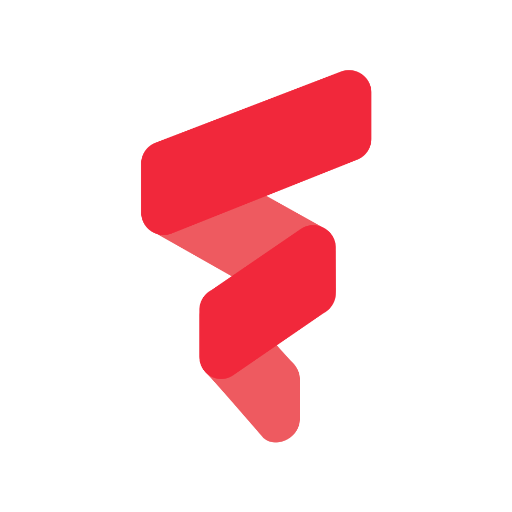 Why Sher.ly is a Top Data Security Innovator: Because Sher.ly isn't hosting your files itself, you maintain full control over them, while they ensure that every connection to the app and data is protected by the highest safety standards. Because users download all files using peer-to-peer technology, you can expect to send files five times faster on average. Stealth Worker helps organizations find and hire the certified cybersecurity professionals they need to keep their data secure. 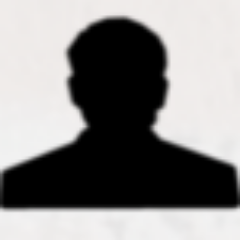 Why Stealth Worker is a Top Data Security Innovator: All you have to do is tell them what your security needs are, and they'll send you candidates to interview based on your preferences. Their professionals offer security services like penetration and compliance testing, cloud security, and much more. Between the cloud, bring-your-own-device workplaces, and third-party access, the idea of an enterprise security perimeter is changing, but SAIFE is creating the technology to protect the new, agile perimeter. President and CEO Julian W. Waits, Sr., has over 20 years in IT and security, including as President and CEO of PivotPoint Risk Analytics and ThreatTrack Security prior to serving in those roles with SAIFE. Why SAIFE is a Top Data Security Innovator: Their Software Defined Perimeter defines access by the user, device, and where they are, ensuring that users only access the data they are entitled to access. This easy-to-implement solution reduces the attack surface, but still enables secure collaboration with a secure, point-and-click dashboard. DOQEX Limited offers secure email and file transfer services that enable easy collaboration while preventing data loss. Why DOQEX is a Top Data Security Innovator: The file-sharing solution, DOQEX WEB, lets your users access and control their data using any web browser with a host of features, including secure data rooms, self-destructing files, and more. 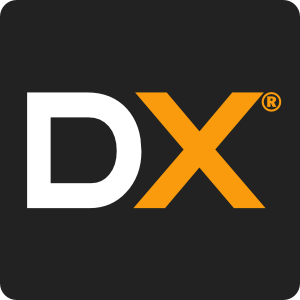 DOQEX EMAIL, meanwhile, provides a simple, secure email solution that makes sending secure attachments as easy as sending any other attachment. StreamScale's Big Parity solution aims to solve the problem of data loss and corruption from RAID failure. Why StreamScale is a Top Data Security Innovator: Their solution is built for companies that require a high volume of disk storage and high data availability; they protect Big Data applications for financial services, retail, oil, telecommunications enterprises, and more. Big Parity offers the data security and reliability that these organizations require without sacrificing application performance in the process. Parablu offers secure data management solutions for any data and any cloud use, be it backup, storage, or collaboration. Founder, president, and CEO Arnand Prahlad has been building enterprise software solutions for more than 25 years, including as Managing Director and Head of McAfee's R&D Center in India. Why Parablu is a Top Data Security Innovator: Their BluDrive solution, for example, allows users to easily transfer files of any size and type to collaborators, clients, and partners, resulting in greater efficiency and productivity. They also offer BluVault, a secure data backup solution for endpoints and servers, as well as BluSync, which combines file-sharing and collaboration features. 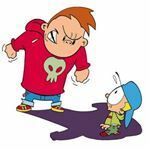 Fortscale aims to stop insider threat issues, like careless employees and stolen credentials, with user and entity behavior analytics. CEO and co-founder Idan Tendler is an experienced serial entrepreneur and expert in cyber security and intelligence, while COO and co-founder Dr. Yona Hollander has over 20 years of experience in management and technology, with a focus in cybersecurity. 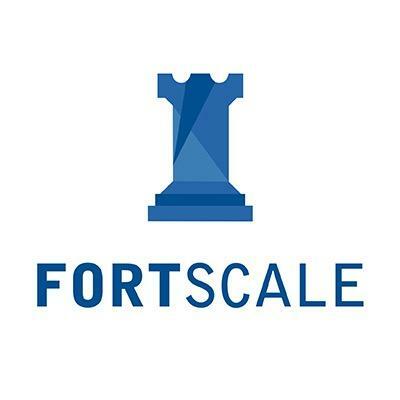 Why Fortscale is a Top Data Security Innovator: Designed from scratch as a machine learning system, Fortscale uses advanced computing to hunt down suspicious account behavior before it does any damage. They offer both a standalone platform for organizations and a plug-in engine that can be easily embedded by vendors to improve security. CyberSponse is a cybersecurity automation and incident response platform that integrates with all your cybersecurity tools to assign tasks to your team and automate your tools' actions. CEO Larry D. Johnson has built security operations at multiple Fortune 500 companies and government agencies and has expertise in security management, security technologies, and strategic planning. Why CyberSponse is a Top Data Security Innovator: Their platform's tailored playbooks deploy automatically in real-time, decreasing incident response time and easing the workload on your team. Because security threats are always changing and evolving, CyberSponse integrates all of the industry's leading security tools and stays up-to-date on all of the latest threats. CapLinked provides secure, easy-to-use virtual data rooms, built to serve as a central platform for enterprises and their collaborators to share sensitive data securely and with ease. Co-founder and CEO Eric Jackson previously ran PayPal's marketing team, while COO Christopher Grey has 15 years of experience as a senior executive and managing partner in private equity and corporate finance. Why CapLinked is a Top Data Security Innovator: In under ten minutes, you can set up a workspace data room and start collaborating, sharing, and editing with clients, partners, and others. With great security credentials and easily customizable permission settings, you'll be safely sharing documents in no time. SecurityScorecard enables users to instantly start monitoring the cybersecurity health of any organization and get security ratings for every aspect of their business. Why SecurityScorecard is a Top Data Security Innovator: Their services enable you to discover the security posture of any third-party vendor or business partner, benchmark your security against your competitors, and more. Their accurate security ratings will help your business become more secure, undertake less risk from third-parties, and stay ahead of your competitors. 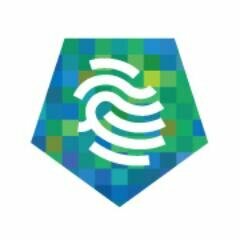 Trail of Bits offers security services like assessment and engineering that can go deeper into your code than the competition and come up with innovative solutions. Why Trail of Bits is a Top Data Security Innovator: They offer custom security engineering services at every stage of software creation, closing the gaps in security they find and even ensuring that future iterations of your software stay secure. Through their work with prime contractors like DARPA and the National Science Foundation, they develop code that can be adopted by the tech industry as a whole and endeavor open source and maintain it, giving them the know-how to serve their clients with speed and ease. Share on Facebook "Best Data Security"